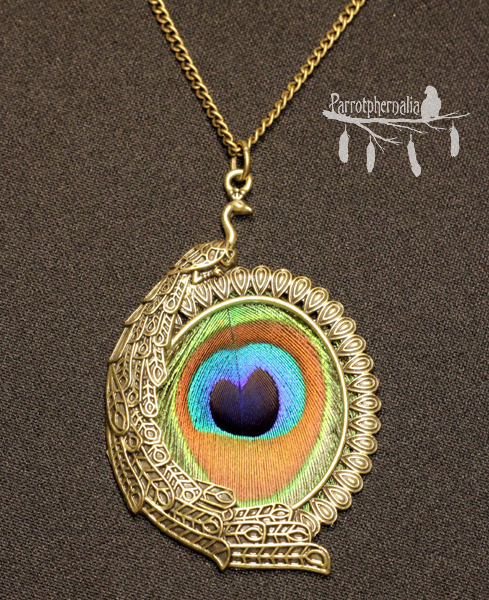 This is a beautiful bronze coloured pendant encircles a naturally molted peacock feather. 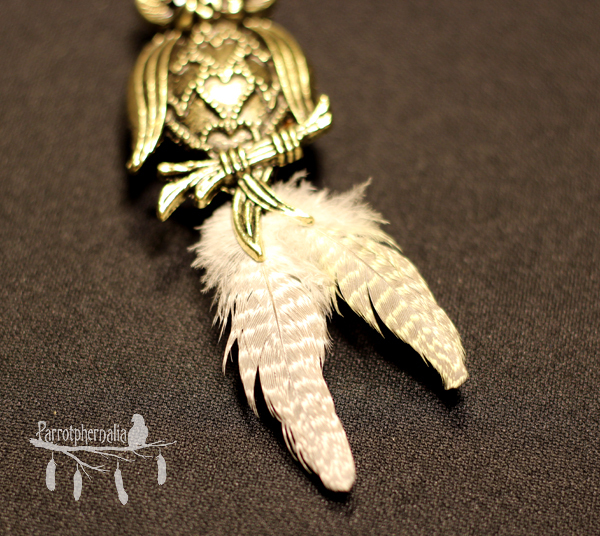 There are 2 available that have varying feathers. 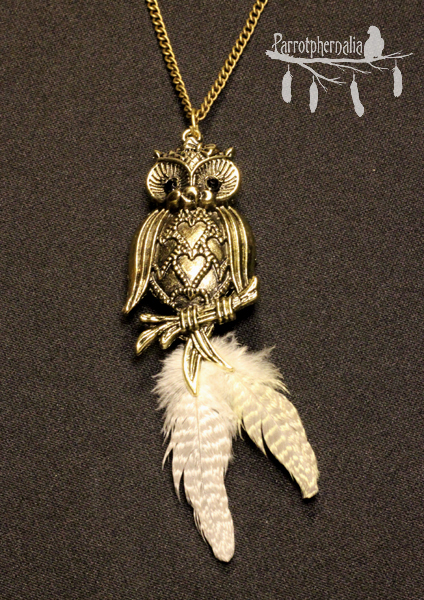 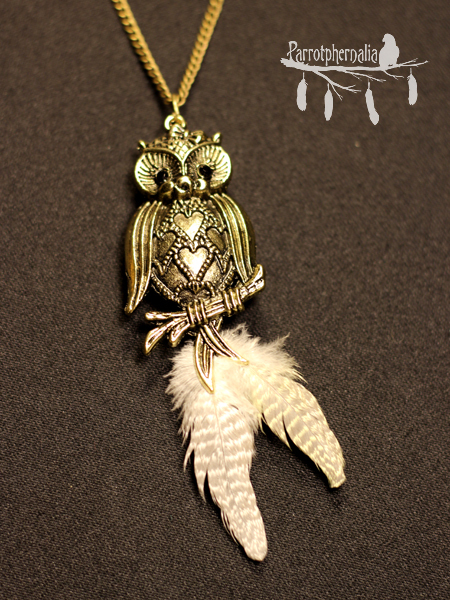 The pendant is 3.5 inches in length and about 2 inches wide. 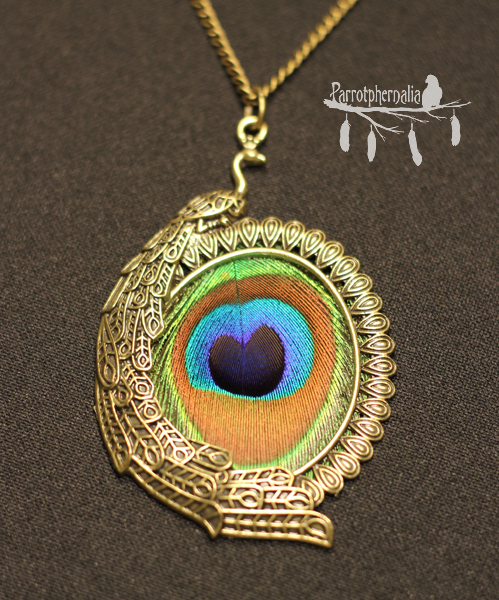 A bronze coloured 27 inch chain necklace is included. 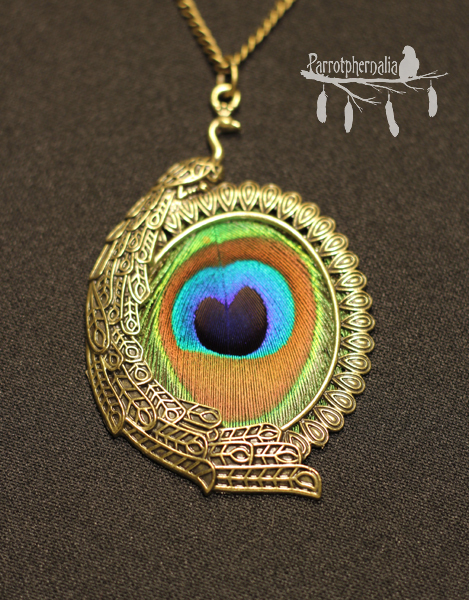 This gorgeous pendant will send everyone a fluttering when they see it.